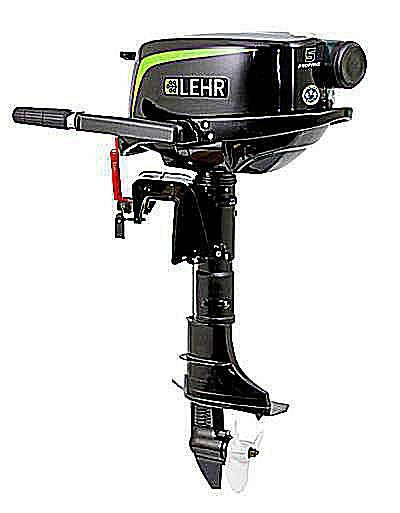 In 2012 the Lehr corporation released two models of a propane-powered outboard engine: 5 and 2.5-horsepower motors. Available in both standard short- and long-shaft versions, these 4-stroke outboards can be used on any boat requiring these power levels. (Larger models are reportedly in development.) They offer a number of advantages over standard gasoline-powered outboards while being priced about the same. While these outboards are new products, Lehr has been building award-winning propane-powered engines for some time and has gained a reputation for quality products that are also good for the environment. Their other products powered by propane include lawn mowers, weed-whackers, and blower/vacuums. The founder of Lehr, Bernardo Jorge Herzer, is a licensed ship's captain with decades of sea experience who has seen firsthand the environmental problems caused by gasoline engines. This review is based on testing and use of the 5 HP model. The 2.5 HP model can be expected to perform similarly at its power rating. Purchased in the box, the 5 HP needed only crankcase oil to be added. With a standard Coleman propane bottle screwed into its fitting in the casing, the motor started right up on the second pull (later in use, it always started on the first pull once the propane had pressurized the system). It was as quiet as any new 4-stroke and ran very smoothly at any RPM. Since the owner's manual did not prescribe a break-in period or process, as with other new outboards, a call placed to Lehr clarified that there were no special break-in required because every outboard has been sufficiently run-tested at the factory before shipping. While a 5 HP outboard is often used to power a dinghy or small aluminum boat, this model was tested on a 19-foot sailboat, the West Wight Potter 19. This boat weighs 1225 lbs and has a maximum hull speed of about 5.5 knots. The Lehr 5 HP easily pushed it along at 5 knots at a fuel-efficient half-throttle or less. This outboard can be expected to power any craft as well as any 5 HP gasoline outboard. Others have reported that the engine can power a 12-foot aluminum skiff at about the same speed, with a half-throttle fuel consumption as high as 24 mpg. At full throttle, as with a gasoline outboard, fuel efficiency drops radically, as low as 3 mpg. Overall, this small motor is very impressive in functioning and ease of use and no problems have been experienced in its first season of use. Propane as a fuel has no downside, as it is both better for the environment and offers several advantages over gasoline, but the user needs to be aware of two practical issues. First, because propane is heavier than air, the fuel should not be stored inside a boat where, if a leak developed, it could fill a closed space and become a risk for explosion. The small propane bottles are easily stored in a boat's cockpit or open space, however, and the larger marine propane tanks are built to be kept outside so there is no reason to put it below. The owner just needs to remember this risk. A second practical issue, particularly for boaters using the smaller camp-size propane bottles, is that it is more difficult, compared to a gasoline outboard, to estimate remaining fuel. If the bottle runs empty, it can be replaced in less than 30 seconds, but if one is alone on the boat in an area of shoals, strong currents, or other hazards, even that short time can be too long to let the boat drift unattended while changing the fuel. Ensuring you're never surprised in such a situation, however, is as easy as being aware of the fuel consumption by vessel and keeping track of time to estimate remaining fuel. With a simple kitchen scale you can determine, before starting up, how much fuel remains in a partly full bottle. It's easy to keep several of these small bottles on board to avoid running out. An adaptor is available for refilling most bottles from a larger propane tank , such as the standard 20 lb tank used in most home grills. I've had no regrets since I began using the Lehr outboard and would recommend it without hesitation. Since the propane bottles are used by many boat grills and stoves, they are readily available in many waterside and marina stores. You'd likely need to plan ahead if cruising long distances in unknown waters, but for the typical user of a 5 HP outboard, this is not an issue. And it feels good, especially as a sailor who runs the engine as little as possible, to do as little damage to the environment as possible. If you buy a propane outboard and decide to use a larger external propane tank, be sure to get a fiberglass tank like this one. 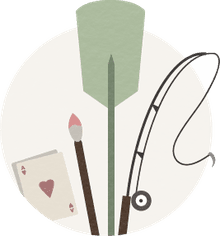 What Are the Differences in MacGregor 26 Models?